— Matthew Connelly and Paul Kennedy, The Atlantic, Dec. 1994 in a review of The Camp of the Saints, by Jean Raspail, 1973. My wife and I recently visited Greece on vacation for a couple of weeks, part archaeological tour and part chasing photographs on a couple of the tourist islands. At night, with BBC World Service usually about the only English channel available on TV, we heard and saw all the drama and tragedy of the ongoing migrant crisis, which continues to deepen. Although we didn’t come into contact with it, Greece on top of its economic troubles is also dealing with an influx of the refugees piling into Europe and headed north. It reminded me a lot of an old science-fiction novel, I guess you could call it, I read back in the 1970s. Returning from our trip, I tried to track down the name and more details of the book. 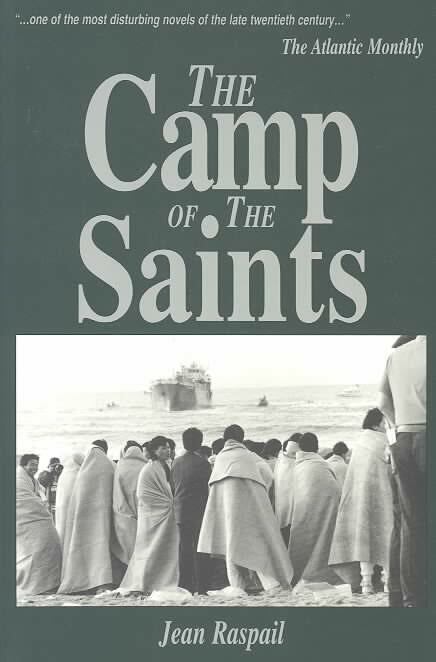 It turns out to have been the 1973 apocalyptic novel The Camp of the Saints by Frenchman Jean Raspail, which was translated into English in 1975 and I must have read shortly thereafter. On their way to France, the enormous flotilla wants to approach Egypt (to gain access to the Suez Canal) and South Africa, but the military of both countries threaten to sink the boats and drown the occupants if they should approach. So, in Raspail’s world, the horde of migrants make their way to France. Raspail is more interested really in the reaction of the French establishment and the rest of Europe in the face of such an onslaught, and depicts it as decadent and weak in the face of this threat to the Western way of life. He casts the coming migrants in a poor light as mangy and prone to violence and sexual assaults in their long journey to anywhere that will be better than what they left. The point of Raspail’s book seems to be that Western civilization is psychologically incapable of defending itself. The French in the end order their miltary to shoot or sink the approaching menacing armada, but the soldiers and navy refuse and flee. Eventually, at the end of the novel, as examples of the overrunning by the third world, the mayor of New York is made to share Gracie Mansion with three families from Harlem, the Queen of England must marry her son to a Pakistani and other huge armadas are ready to head for Australia, New Zealand, and Europe. Raspail has been accused of writing a racist tract, but that is too simple. As an example, one main spokesman for European civilization in the novel is non-white but has embraced what he sees as the best of Western civilization. Over the years, as migrant and refugee crises have cropped up here and there, those from both sides of the political spectrum have referred to this book from the mid-1970s. The Atlantic, a literary and cultural magazine that would likely be considered too liberal by the National Review, examined The Camp of the Saints 20 years prior to that, trying to place the fictional events of Raspail’s novel in the context of exploitation of the third world. It seems to me that the main fault line is simpler than that, and it’s called war. The current migrant and refugee numbers are a direct result of civil, guerilla and national wars. Right now, on the continent of Africa alone, there are something like 20 nations with major conflicts with a half-million or more of their citizens on the move, struggling to survive. That’s not even on the horizon of most Western minds. Never mind all the displacement from the Middle East conflicts that is front and centre in the media now. My modest proposal is that those nations who profit most from the billions of dollars they are making in the arms trade, who export the weapons of war, should import the most refugees. 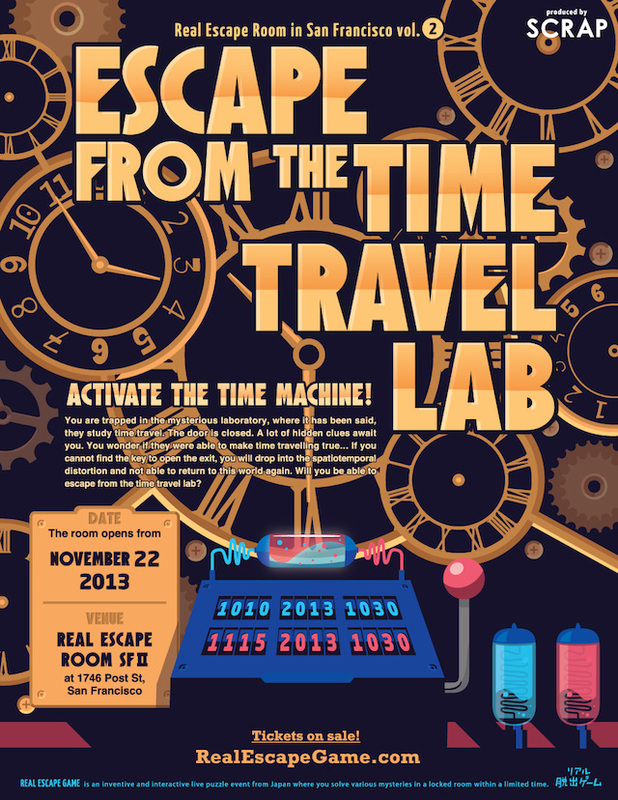 This is something I hadn’t heard of before: The Real Escape Room Game. Apparently the first Real Escape Room Game has opened in Richmond, just south of Vancouver, Canada, where I live, and must be one of the first in Canada. Teams pay money to be locked in variously themed rooms and must find a way out within a time limit. It’s a craze popular in Asian countries at the moment and now is beginning to appear more prominently in North America. The game apparently began in Japan several years ago, and the wave of its popularity has worked its way to China, Malaysia, Singapore and much more recently to a few places on this side of the Pacific. It used to be that cultural innovation and trendiness might come from the eastern United States, especially New York, or from Europe, say Paris or London. These days, and what will increasingly be the case, the Asian countries are exerting their own brand of cultural sway over the young and hip. It makes sense that the game would appear in Richmond, which has Asians from many different countries but especially China making up about half its population. The version of the game that just started here has four themed rooms: the Lost Ship, Ancient Egypt, Prison Escape and Laboratory Escape. Four to six people pay $23 each to enter one of these rooms to work together to find their way out within 45 minutes. The proprietor claims that it’s perfect for speed dating. Put three pairs of guys and girls in a locked room with a few clues and they will learn about each other’s personalities in short order. Apparently only about one percent of the teams are successful. They are photographed and put up on the Wall of Fame, while the other 99 percent are also photographed and clipped to a Tree of Shame, which is apparently the way it’s played in Asia. Of course, there can be frustration. The owner charges $50 for broken props. He showed off to a local newspaper a table top strewn with broken locks. “Use intelligence, not violence,” he says. It can be a combination of role-playing, depending on the theme, and those Solve A Murder Mystery parlor games, with considerably more intensity involved. There’s a few YouTube examples: Escape from the Werewolf Village and Trapped in a Cathedral are just two. Your group has 60 minutes to find its way out of a mysterious room. This is accomplished by using logic, searching for clues and using unique items in the room to help you get through obstacles like locks and doors, etc. Once your team makes it through all the of the puzzles contained within the room you will find the final key; and unlock yourself to freedom. Only 30% of teams have escaped so far. Will you? The adventure is very thrilling, but not dangerous at all. It contains no horror elements, requires no physical exertion and is suitable for ages 11-77. Our game is unique in the genre because it focuses on the puzzles and experiments with real objects, rather than being based on a specific theme or story. We may feel we lack adventure and community in our daily lives, often especially the young, as we put widgets, systems of widgets, or instructions to systems of widgets together, and perhaps commute long distances together in isolation to do so. This remedy seems a little artificial and perhaps too theatrical for me though. I think I prefer to go on a good hike in beautiful scenery with my wife or with a friend. But it might be fun to try it out, as another form of escape. The image comes from an American company called SCRAP in San Francisco, California which runs their version of the Escape Room game.